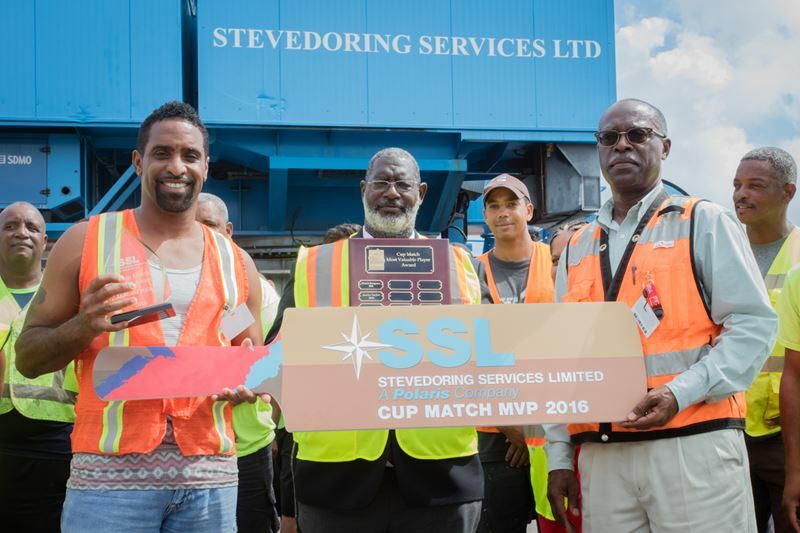 Polaris Company Holding Company CEO Warren Jones recently presented Janeiro Tucker with the 2016 Stevedoring Services Cup Match MVP award on behalf of the management and staff of Stevedoring Services Ltd [SSL]. Tucker was presented with an engraved plaque for himself and another for Somerset Cricket Club, as well as a $1,500 travel voucher and a $500 gift certificate for sporting equipment. 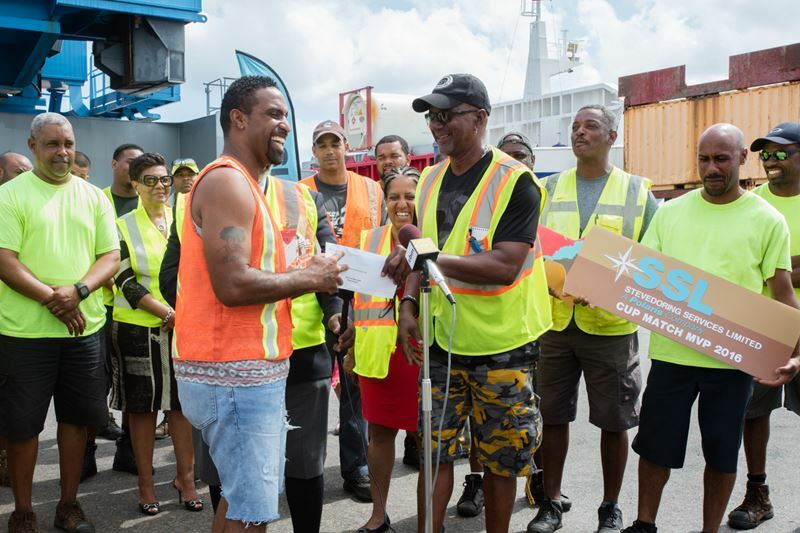 The official prize giving took place on the City of Hamilton Docks with SSL staff, St George’s Cricket Club president Neil Paynter, Somerset Cricket Club President, Alfred Maybury and SCC Secretary, Dawn Simmons in attendance. SCC President Alfred Maybury outlined the selection process for those in attendance. The award is selected by a three-person committee that comprises the team coach from each club as well as one of the umpires. 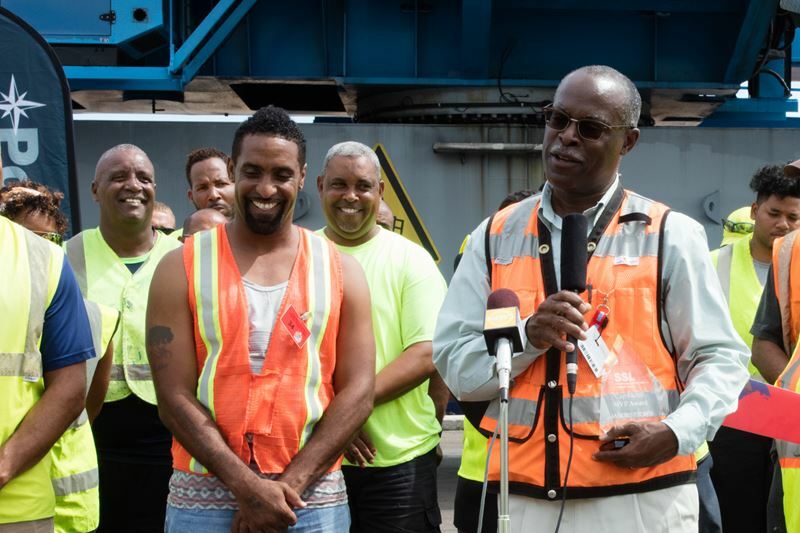 They deliberate post game and weighed the player contributions to the game and their teams to arrive at the winner of the Stevedoring Services Cup Match MVP award. 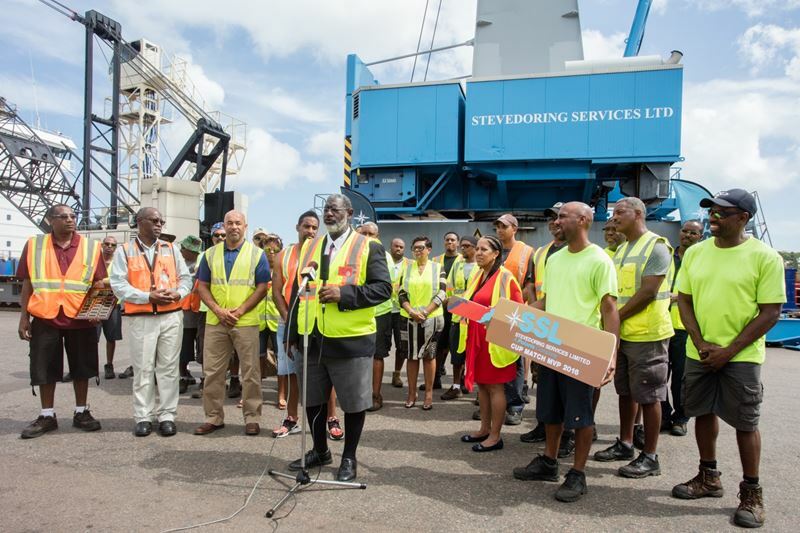 The Stevedoring Services staff social committee recommended the selection of this culturally significant programme as part of the annual SSL corporate social responsibility budget.